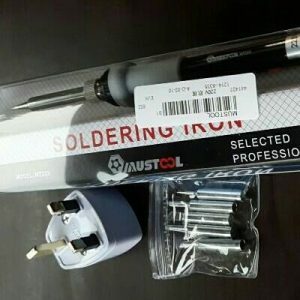 If you want to learn how to solder, this starter soldering kit will get you off to a great start! 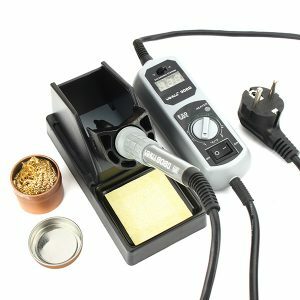 This starter soldering kit is a perfect solution for all hobbyists and DIY enthusiasts who need a reliable device with all necessary functions already integrated. 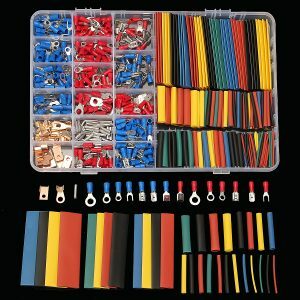 Whether you need to repair electronic equipment, RC toys, circuit boards, or simply want to be creative, this complete set will allow any project to be finished quickly and easily. 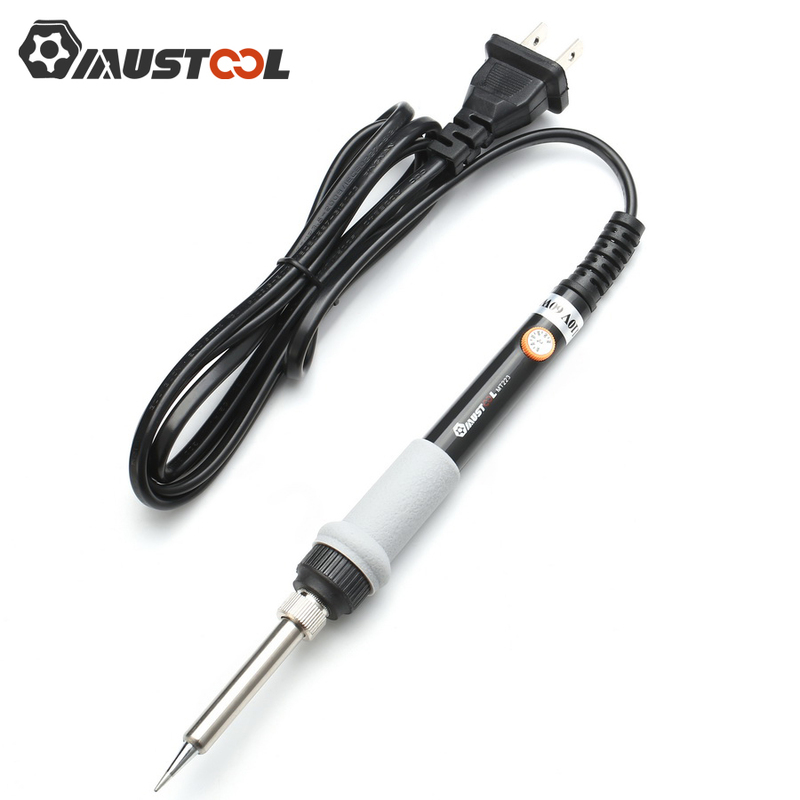 ① Adjustable temperature controlled soldering iron: 200-450°C. 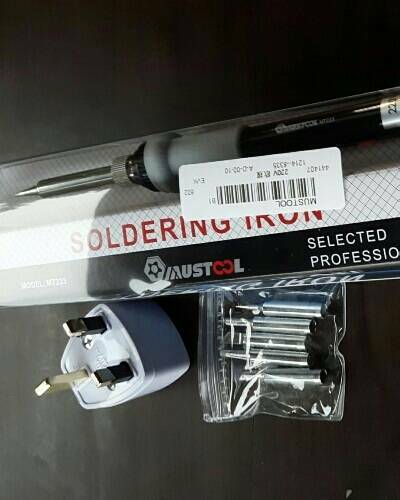 ② Can adjust the temperature according to your need by the knob wheel on the electronic soldering iron. 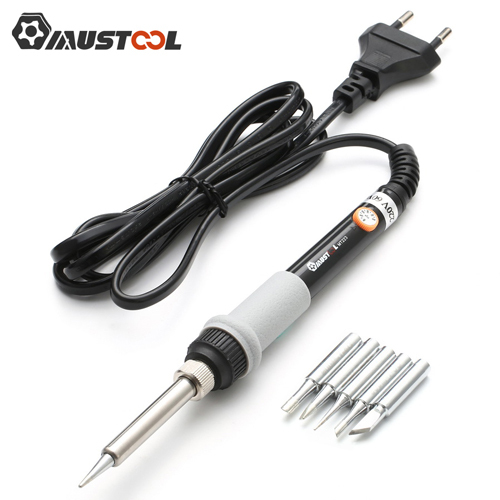 ③ Soldering iron with 60W power and 5pcs replaceable tips. ④ Five different tips makes soldering iron easy to fit. ⑤ Better heat dissipation efficiency: help to reduce the temperature of handle, and avoid the plastic melting by the heat. ⑥ No need soldering station, just plug and play. 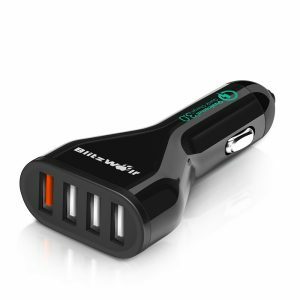 ⑦ Great for all hobbyists and DIY enthusiasts who need a reliable device with all necessary functions already integrated. 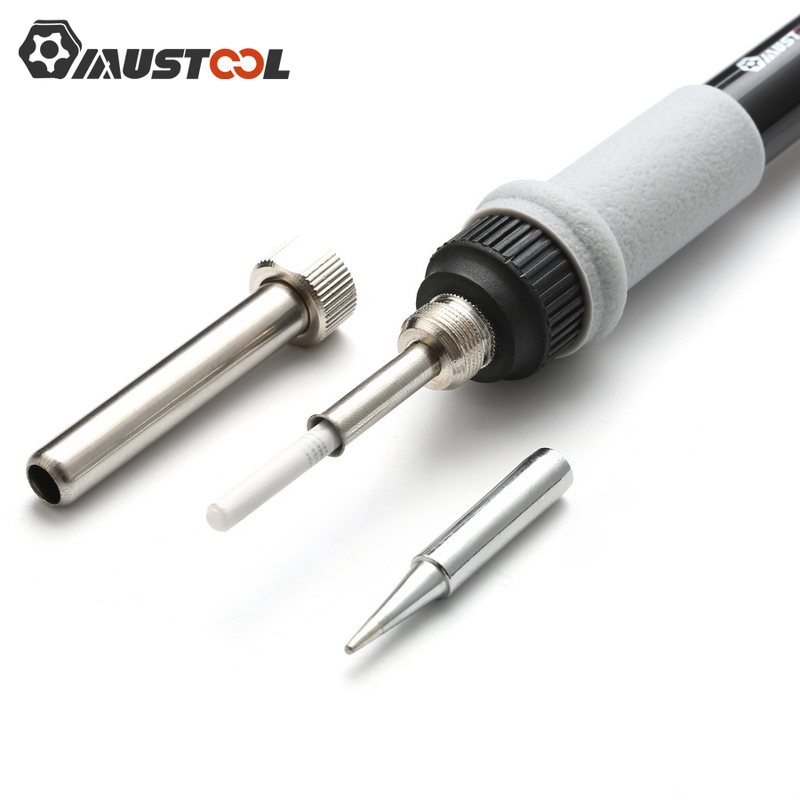 ⑧ MUSTOOL – 2016 Original Brand from Banggood, focus on the area of professional instrument & tools. best service, highest grade of quality! Power: 60W, our solder iron using the energy conservation heating element, when the temperature reach up enough, the power will come down. 4. Apply solder to heated parts, not the soldering tip, and heat it till solder melts and flows freely. 1. Keep the welding head always hanging tin. 2. 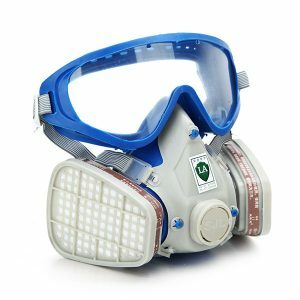 Using the strong acid flux can not be 2 solder. 3. Can’t beat the welding nozzle head with a file or file repair and hammer. 4. In welding Tsui appear high temperature oxidative blackening is on the tin, the first clean welding Tsui surface black oxide, tin part of the welding nozzle cleaning agent invasion run welding Tsui on and then re tin, tin Tsui welding temperature best set of 250 degrees. 5. Electric iron electricity use, is strictly prohibited disassemble its electric parts. 6. New electric iron used for the first time, because of the baking heat of the electric heating element and may slightly smoke, this is normal phenomenon, after ten minutes will disappear naturally. 7. Electric iron in use process, should be equipped with iron base has natural cooling and deconstruction should be placed in the stand in. 8. If the supply cord is damaged, in order to avoid the risk, by the manufacturer or its maintenance department or similar personnel must replace it. Fast delivery with Excellent Quality Thank you for your services.